One day, you receive a letter from a company or law firm accusing your business of patent infringement. The letter states that in order to avoid a costly lawsuit, you must pay the company a licensing fee. You ask yourself whether this is some type of scam and you consider simply throwing the letter away because you have never heard of this company and you don’t believe your business has violated anyone’s patent rights. If this scenario sounds familiar, then you may have already received a similar letter. If it doesn’t, this could be your first experience with what is known pejoratively as a patent troll. In general, Non-practicing Entities (NPEs) are individuals or entities that do not manufacture products or offer services based on the patents they own. However, it is important to distinguish between different types of NPEs. Many NPEs are simply entities that own patents on technology that they do not intend to produce, but instead foster innovation through licensing and technology transfers. These entities can be corporations, research centers, or investors. How Do Patent Trolls Operate? While patent trolls sometimes file lawsuits against alleged infringers immediately, they often target businesses by sending letters threatening litigation if the alleged infringer does not pay a license fee. These letters frequently contain references to one or more patents with broad, generalized descriptions of the alleged infringement. Often the license fee demanded is tens of thousands of dollars, far less than it would cost to defend against a patent infringement suit. The letters often provide a deadline to pay the license fee. This initial letter is sometimes followed up by a second letter demanding payment in exchange for avoiding costly litigation. While large technology companies such as Apple, Microsoft, Google, and Amazon have been targeted, patent trolls often also target small to medium sized businesses. They often target businesses that are end users of certain technologies or software applications instead of the company that actually developed the technology or software application. For example, in one case, a small business was sued by a patent troll who alleged that the business’s use of an online ordering and delivery system application infringed the troll’s patents. In a more well-known example, multiple businesses have been threatened with suit for using copy machines that allowed those businesses to scan and transmit documents via email directly from the copiers through a local network. The reasons for targeting small business end users are simple. First, the number of end users is far greater than the number of creators which provides a greater number of targets. Second, smaller businesses have fewer resources to defend against infringement lawsuits, which can often take years to defend and can cost millions of dollars in legal fees, thereby increasing the likelihood that the businesses will pay the license fee to avoid litigation. I Have Received a Demand Letter – Now What? Ignore It. It is possible that the sender will not follow up on its threat to sue. However, some NPEs are aggressive and ignoring the first letter may lead to a second letter or worse, a lawsuit. Fight Back. Some businesses may decide to respond to the letter by demanding that the sender provide more specificity regarding the claims. This may include consultation with a qualified attorney to analyze the merits of the claim and to help determine what action, if any, is required. Extended litigation will likely be more expensive than the license fee requested. Although generally the goal is to obtain the license fee and avoid costly litigation, weighing the cost of paying the license versus the cost of litigation is an important analysis for every business. 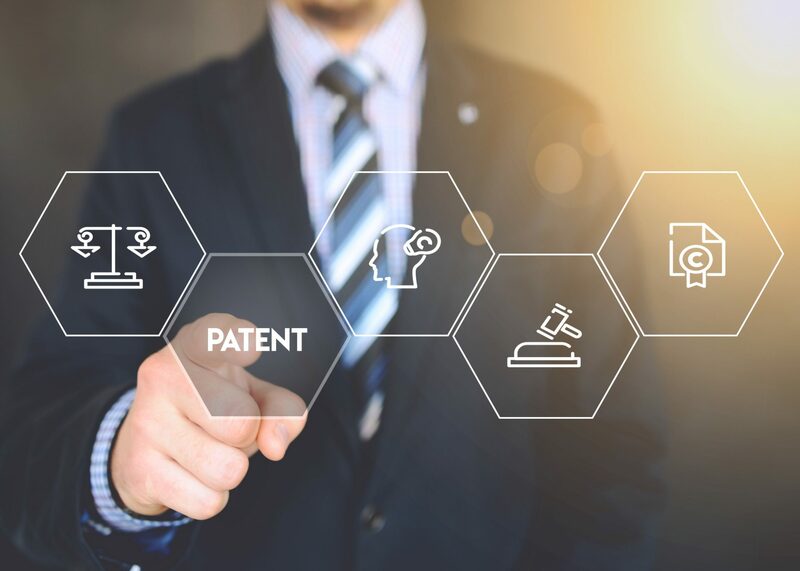 If a business believes it has been accused of patent infringement in bad faith, it may decide to file a complaint with the Virginia Attorney General’s Office, who has the authority under Virginia law to investigate such claims. However, filing a complaint does not prevent a lawsuit, nor does it guarantee that the Attorney General’s Office will initiate an investigation. Insurance. There are insurance policies that cover patent infringement claims. These can be expensive, however, and the policy would have to be purchased before receiving a demand letter. Avoidance. Businesses may attempt to negotiate indemnification clauses into their contracts with vendors to protect against infringement claims. However, these attempts are not always successful. While recent federal court decisions have made an impact, patent trolls continue to exist and target businesses. If you receive a demand letter alleging patent infringement, do not throw it in the trash. It is important to contact competent legal counsel and your insurance company to evaluate the allegations before deciding on your course of action. Doing so will help your business to make the most informed and appropriate decision based on the circumstances. Jonathan V. Gallo is an Of Counsel at Vandeventer Black focusing his practice in Cybersecurity and Data Privacy group and Business group. For more information, contact Jonathan at jgallo@vanblacklaw.com. *This article was featured on Inside Business’s column The Expert on January 22, 2018.